If there’s one thing we know about ‘Thalapathy’ Vijay, it is that his films don't fail to deliver at the box office; especially over the recent years. 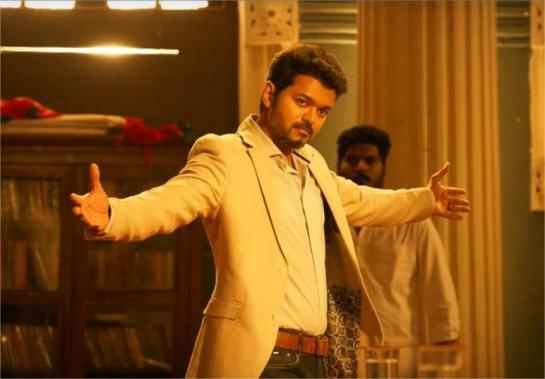 His latest film, Sarkar, alongside Keerthy Suresh and Varalaxmi Sarathkumar under A. R. Murugadoss’s direction produced by Sun Pictures with music by A. R. Rahman is the talk of the town after it opened to a stunning reception everywhere it had released. That said, Sarkar’s performance at the box office too has been nothing short of astonishing as the action political drama has now grossed 100 crores across the world in a span of just two days. It must be noted that this also makes it the sixth occasion a Vijay film has reached those figures after his previous smash hit films namely Thuppakki, Kaththi, Theri, Bairavaa and last year’s Mersal. With the film off to a flying start, we now have to just wait and see the various box office records Sarkar will go on to create.